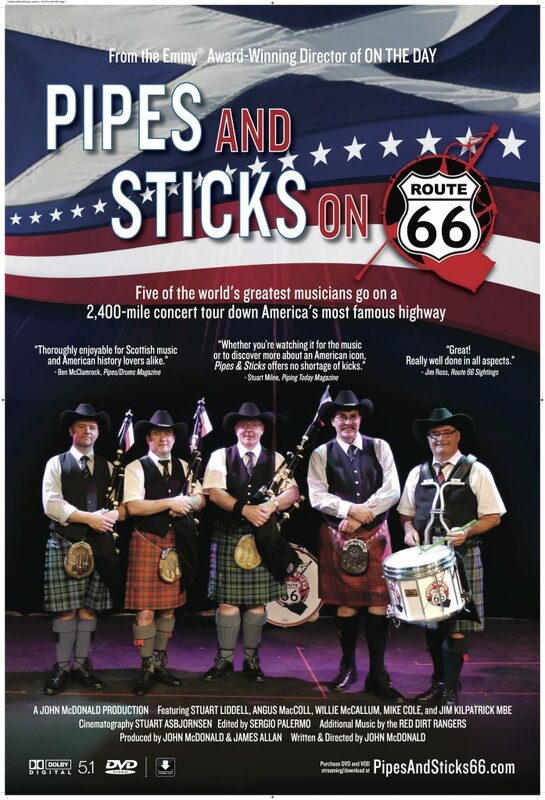 It sounds like a simple premise for a film — take five “rock stars” of the Scottish bagpiping and drumming world on a three-week musical journey along the iconic Route 66. The reality was much more challenging for Emmy award-winning American filmmaker John McDonald who had previously directed On The Day: The Story of the Spirit of Scotland Pipe Band. The tour for charity was dubbed Pipes & Sticks on Route 66, which also became the title of the new 103-minute film. 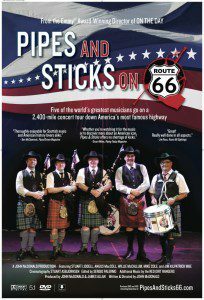 The stellar line-up of musicians are pipers Willie McCallum, Angus MacColl and Stuart Liddell and drummer Jim Kilpatrick, all Scotsmen. They were joined by American percussionist Mike Cole in Chicago for the journey to Los Angeles. Considered among “the best of the best” in piping and drumming, these five musicians have won every important solo piping and drumming award, many several times over. Well-known for their incredible talent, the players put on amazing concerts in Chicago, Tulsa, Lubbock, Albuquerque, Flagstaff and Pasadena. They also did impromptu pub shows, played a solemn tribute at Oklahoma City Memorial Park and took part in inspirational jam sessions with Native American musicians from four Indian Nations. At each concert they collected money for Scottish charities by selling raffle tickets for a drawing at the end of the tour. 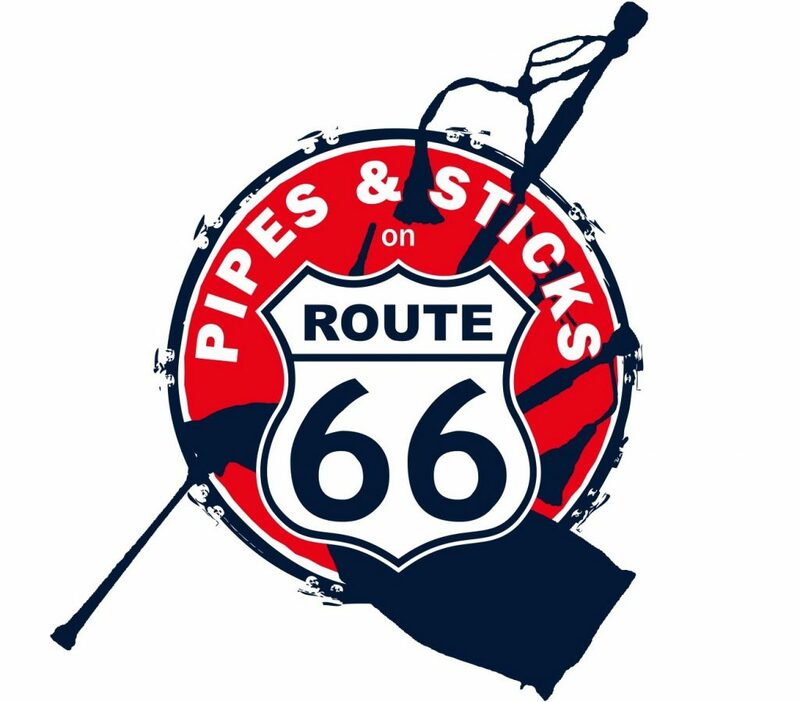 The lucky winners received the custom Route 66 pipes (donated by McCallum Bagpipes) and drums (donated by Pearl and Remo) that were played. The final scene is at sunset on Santa Monica Beach as the band, standing in the water, plays a farewell to America as dolphins, undoubtedly attracted by the sounds of the pipes, swim around them. Watch the movie trailer at PipesAndSticks66.com.